Earl L. Carlyle was born o December 21st 1977 in Omaha, Nebraska. The six foot three, right handed pitcher is known as "Buddy". He attended Texarkana College & was drafted by the Cincinnati Reds in the second round of the 1996 draft. By 1999 he was with the San Diego Padres, where he made his MLB debut on August 29th getting a start against the Milwaukee Brewers. He allowed four runs in seven innings earning no decision. He got his first win on September 9th, beating the Montreal Expos. In seven games he went 1-3 with a 5.97 ERA. The next year he pitched in just four games in relief & had a huge ERA of 21.00, allowing seven runs in just three innings. After that Carlyse became a journey man pitcher, in 2001-2002 he went to Japan pitching for the Hanshin Tigers going 7-12 over the two seasons. In 2003 he pitched for the Kansas City Royals minor league Omaha Royals. In 2004 he pitched for the A.L. New York club in their minor leagues. In 2005 he was back in the majors pitching ten games for the Los Angeles Dodgers, but then had an appendectomy and missed a few months of the year before he could pitch again. A busy year would have him pitch in the Marlins organization & in Korea with the Seoul LG Twins. In 2007 he was invited to the Braves Spring Training camp, he pitched well enough to get a minor league deal at AAA Richmond. He pitched well there & got called up to the majors in late May. On July 6th in a game against the San Diego Padres, Carlyle tied his career-high with seven strikeouts, set a new career-high with 8 innings pitched, and collected his first major league RBI which was the winning run in the 3-2 game. 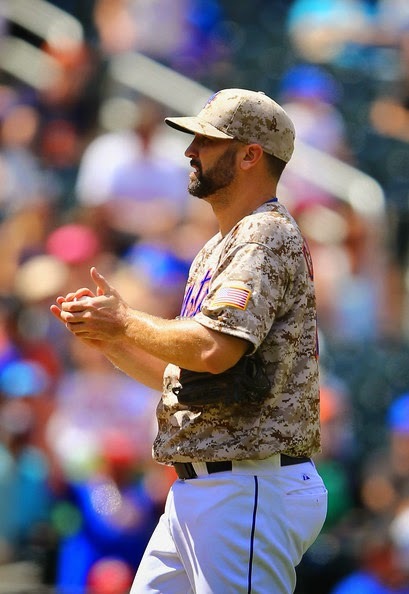 In the 4th inning Carlyle struck out the side on a minimum of nine pitches, it was the 40th time in MLB history this feat had been accomplished. That year he went 8-7 making 20 starts in 22 games posting a 5.21 ERA. He spent three seasons with the Braves (2007-2009) going a combined 10-8 pitching mostly in relief. In 2010 he was back in Japan pitching for the Hokkaido Nippon Ham Fighters, where he went 0-3. In 2011 he was back with the AL New York clubs minor league team, then made it eight games going 0-1 with the big league team. He spent the next two years back in the Braves & Toronto Blue Jays organizations, where in 2013 he pitched for the AAA Buffalo Bisons going 4-2. 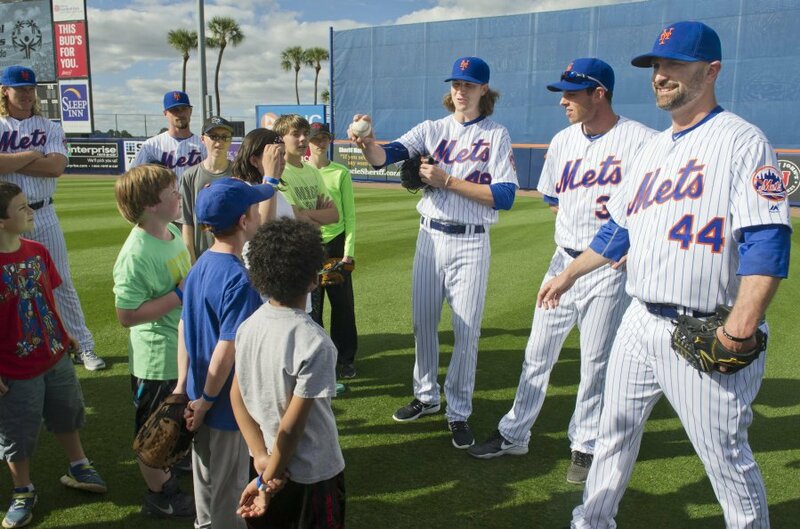 In February he was signed by the New York Mets & was invited to Spring Training. For New York he pitched at AAA Las Vegas, where he went 4-2 with a 2.16 ERA in 30 appearances. 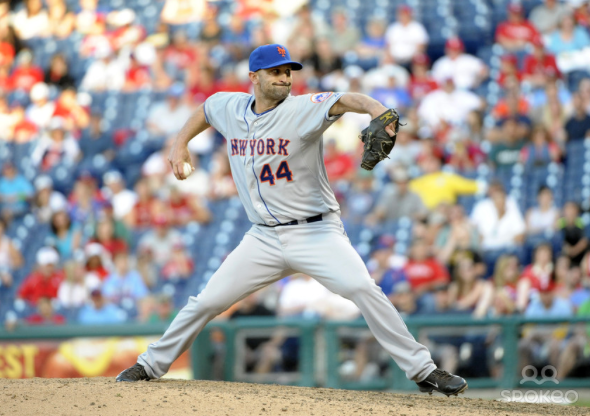 Carlyle made his Mets debut on May 31st, pitching three scoreless innings of extra innings relief. 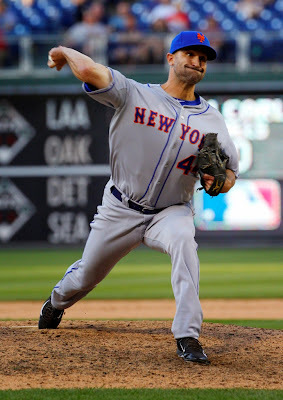 A David Wright 14th inning RBI single won the game for the Mets with Carlyle getting the victory. 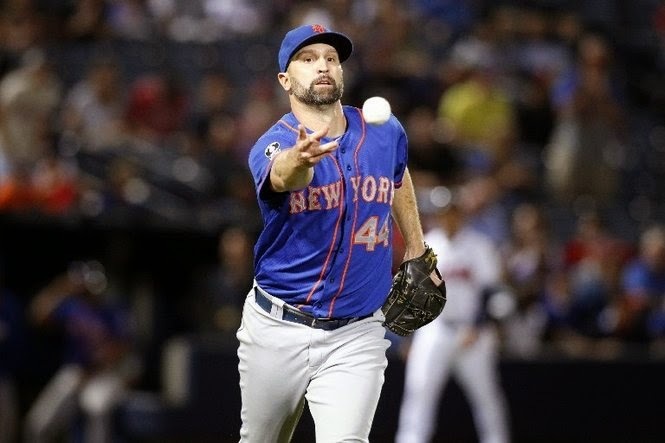 He made six appearances over the next two months & by August began to be a regular out of Terry Collins bullpen. Seeing mostly middle relief action, he was credited with two holds and also earned a loss. In 27 appearances he was 1-1 with a 1.45 ERA, striking out 28 batters with five walks , allowing six runs in 31 innings pitched. 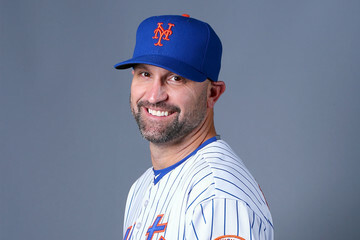 After the season he was granted free agency in November but the resigned with the Mets a month later. 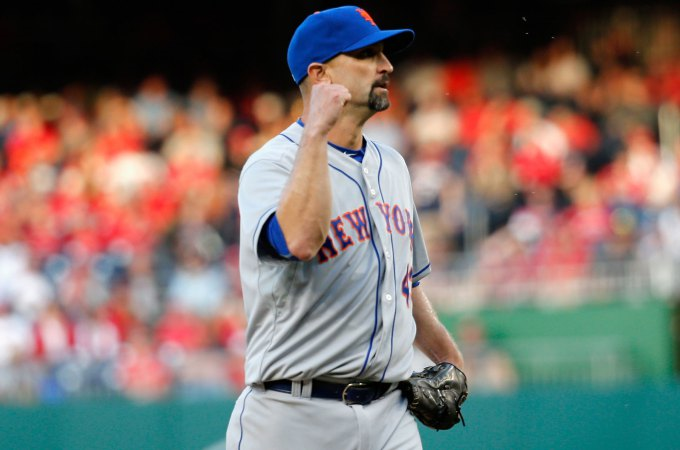 Carlyle made the Mets bullpen at the start of 2015, earning the save on Opening Day, the first of his career, with a Mets win over the Nationals in D.C.
After getting credit for two holds, he earned a win on April 22nd at Atlanta pitching the 7th inning in a 6-3 Mets win. But his luck ran out when he was placed on the disabled list with back and hamstring tightness in mid May. On July 12th his season ended when he got surgery to repair a labrum muscle in his hip. Carlyle finished the 2015 season 1-0 with one save, a 5.63 ERA, with six strikeouts & one walk in 11 games in 8 innings pitched. In December of 2015 he signed a minor league deal with the Mets. After Spring Training 2016 he was released. In an nine year career he is 13-13 with 232 strike outs & 107 walks, posting a 5.14 ERA in 150 games pitched.